The three main tools for ski tuning are scraper, sharpener and edger. All these tools are used after that you have used the iron to melt the ski wax. After applied the ski wax with the iron, you use the scraper to further apply and remove excess wax. With the sharpener, you can make the scraper even sharper. The final procedeure of ski waxing is using the edger, to fine-tune the edges on your skis or your snowboard. Scrapers do not differ too much from each other. You can choose between a standard square scrape- and a triangle scraper. The ski scrapers are usually made of plastic, though there are some made of acrylic which I am not going to mention here because plastic scrapers beat them in all thinkable ways. An affordable yet great quality scraper Hertel Wax Scraper. This square-shaped Hertel scraper is made of plastic and is recommended to buy as a first standard scraper. Triangle scrapers are a bit more practical as they give more scraping leverage which makes it easier to reach the more difficult accessible areas. For triangle scraper I would recommend Dakine Triangle Scraper which is also produced of plastic. To make it easier to remove excess wax with your scraper, it is recommended to use a sharpener. You simply drag your scraper through the the open groove of your sharpener, and the result is a much-more sharp scraper. 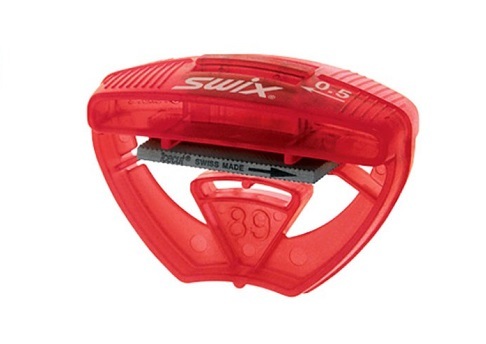 An affordable sharpener is Plexi Sharpener by Swix. 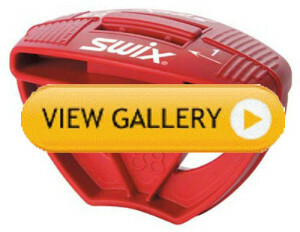 If you looking to upgrade your ski tuning kit and get the best sharpener available, it is the Swix World Cup Sharpener. With over 70 years experience in ski tuning Swix has made this solid, high-quality sharpener with an easy- to-use 100 millimeter long file, which provides you maximum sharpening precision. For optimal ski performance it is recommended that you also fine-tune your skis by sharpening your edges. An affordable and great edger is Swix Edger. It is Swix’s best-selling simple edger and base edge sharpener. 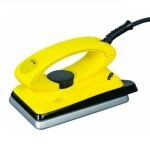 The 40mm file can mount to sharpen the side edge to 88° or 89° degrees respectively 0.5° or 1° degrees. If you are looking for the best edger avilable you are to choose Swix Phatnom Edger Pro, which are made of high end material and are able to adjust between 85° to 90° degrees or 0° to 5° degrees. The edger is also provided with an instruction sheet and included file, althought it is recommended to purchase some diamond sharpening stones for maximum fine-tuning. To summarize, the ski tuning tools should include a scraper, sharpener and edger. The options for scraper are to invest in a rectangular or triangular one. For sharpener you can choose a between a basic one and a top of the line. The edger differs in amount of adjustable degrees, you can choose between the simple with up to 1° and the high class with up to 5° degrees.